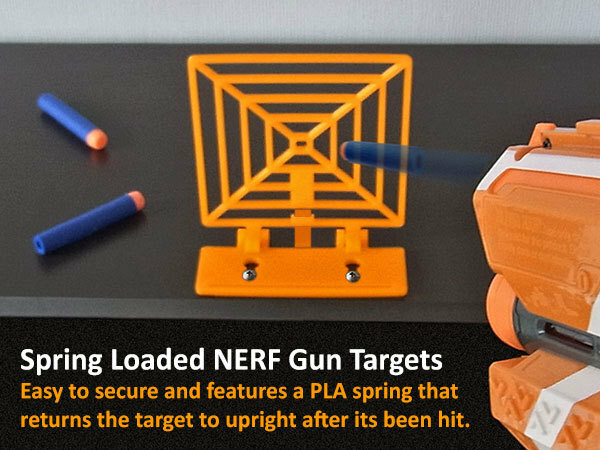 Spring Loaded Target for NERF #3DPrinting « Adafruit Industries – Makers, hackers, artists, designers and engineers! The target itself is a moving one piece print with hinges. The second part is a small flat strip of PLA that is used as a return spring. Both parts only uses a bit over 60gm of PLA at recommended setting (including Raft). 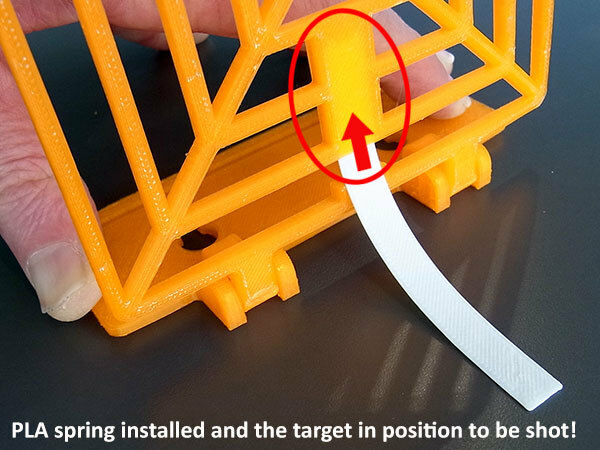 As an alternative to printing a PLA spring you can cut a similar size strip of flexi / springy plastic from an old plastic container of some sort.